Closeout. 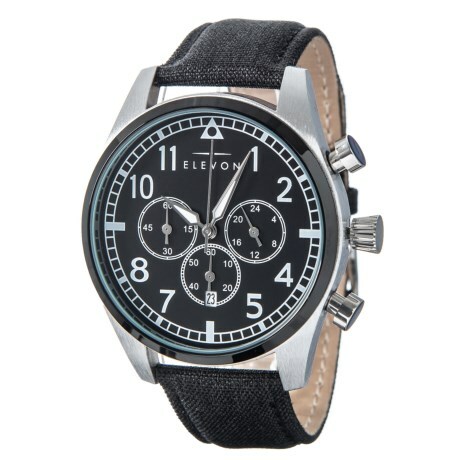 Easy to read and featuring its own distinctive design, ELEVONand#39;s Curtiss watch includes a classy smooth leather strap, stainless steel case, glow-in-the-dark hands and Japanese quartz movement. Available Colors: BLACK/BLACK, PEWTER/BEIGE.